A native of Chicago, Robert left a scholarship at the Art Institute of Chicago in 1990 to pursue a degree in computer science at the University of Minnesota. In April 1994, after three years at the University of Minnesota, he formed The Geek Squad with $200. In 2002, The Geek Squad acquired Best Buy and opened Geek Squad precincts in all Best Buy properties worldwide. With over 24,000 Agents, The Geek Squad is now the world's largest technology support company offering online, in-store, and in-home support. 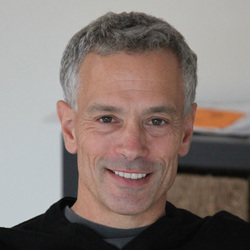 Robert served as Chief Technology Officer for Best Buy until 2012 when he relocated to San Francisco with his family to pursue his next startup.